I thought I posted this, but can't find it. 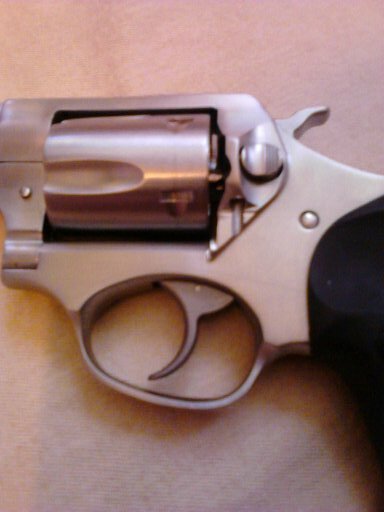 Short story, I got my SP101 .357 as even trade from Ruger for a bad LCR in late March. It has a new design in the area below the crane release button. You can also see the newer tapered cylinder. You'll see a groove to access the crane button pivot screw. I've only seen one other SP like this, in a LGS a few weeks ago. 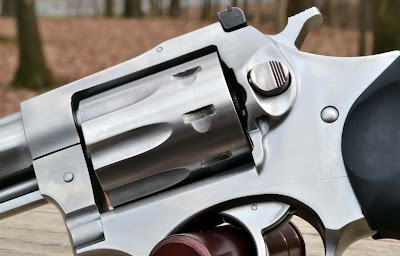 Ruger confirmed the change, and said I'll see more as the last version is sold off from the warehouses. 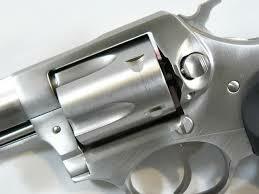 I guess it will be on all calibers. The frame lug on SPs started out as a D-shaped bump. Then a rounded strip along the edge of the cylinder window. My .22 SP is like that. Now this triangle shape. They all seem to work equally well. All this confirms my idea that all SP frames are the same when they come out of the casting mold. The initial machining sets which sights and caliber they'll have.